On December 23, 2007, a small private plane carrying author Kim Klein’s thirteen-year-old daughter, Talia, Talia’s father and her best friend crashed into the side of a volcano in Panama, killing all on board except the friend. A month after Talia’s death, she started to speak from the afterlife. 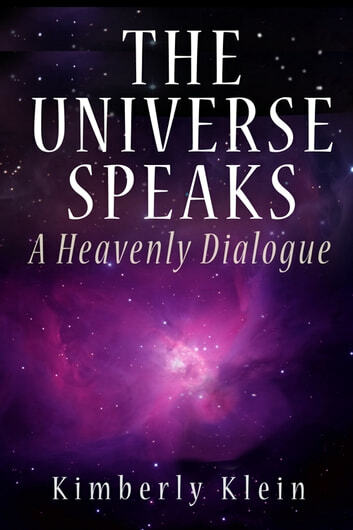 Presenting first-hand, unequivocal accounts of “Heaven” and what it’s like to transition from the physical world to non-physical realms, The Universe Speaks offers peace to those who fear death, insight into our lives on Earth and into the world beyond, and brings understanding to anyone who has been affected by a tragedy. 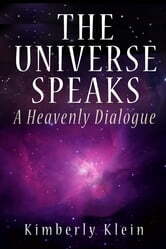 Talia teaches us that the conversations between the spirit world and those of us in physical bodies are as normal and natural as any conversation. And that death is a gateway into a new realm of life. The book commenced interestingly but then seemed to get 'bogged. All the dialogue between the deceased and G seemed very disjointed and unfocused on facts. I struggled though it waiting for something concrete but it never happened. I've read many other books with dialogue from the other side which DID make sense. This is a challenging read!